When you're in charge of a household, it's up to you to plan the budget and the meals ... keep the calendar straight...vacuum the carpets...and keep life running smoothly. Not an easy task for anyone, especially when children are involved. For a parent with ADD, the task can seem almost impossible. After all, folks with ADD/ADHD have challenges with every aspect of "managing a household," from planning and scheduling to staying on task to providing a calm, predictable atmosphere for growing children. Because life with children and ADD can be so challenging, many parents feel overwhelmed. Even ordinary day to day life -- with its boring routines, time restrictions, and unexpected events -- can be difficult. Then, toss in a child with his own challenges, a sick parent, or an unemployed spouse, and things can quickly get out of control. 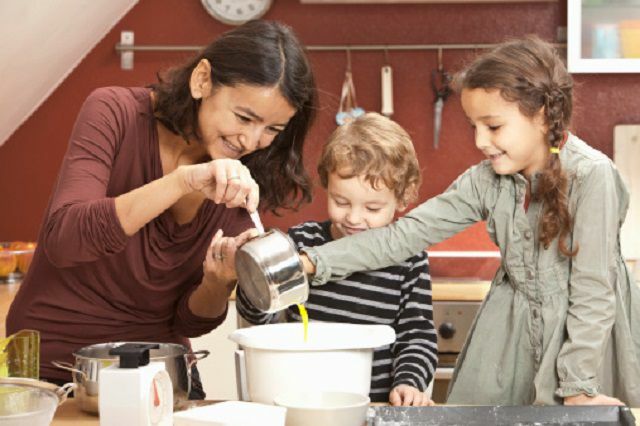 Fortunately, here are some simple strategies parents with ADD can implement at home to make life more organized and enjoyable. Start by developing a positive self-concept. If you focus on what you can’t do, your children will adopt this same attitude –- especially if they struggle with the same ADHD traits that are causing you frustration. Parents spend so much time putting their children first that their own self-care can easily get neglected. Parenting a child with ADHD can be isolating, overwhelming, and exhausting! You may question whether there are things you should be doing differently. It may even cause strain within the family and in your relationship with your partner. These feelings are human feelings and they are a normal part of being a parent. Being a parent is tough; being a parent with ADD raises the toughness factor! It can be overwhelming to manage and organize the family when you are having a hard time organizing your own life. If your child has ADD, your need to create structure and organizational strategies increase two-fold. Moms are often the family manager, caregiver, disciplinarian, nutritionist, cook, homework helper, scheduler, taxi driver, mediator, nurse, and housekeeper. We fill so many different roles and these are just a few. We strive to be “supermom” and inevitably fail to measure up. If these are common feelings that all mothers experience, imagine how a mom with ADHD feels! How on earth can she take on all these roles for her family, when she struggles daily with organizing and prioritizing her own life?